Google, today, revealed a set of new devices. They included all new Pixel Smartphones, Daydream View, Chromecast, etc. All of them are as fascinating as the company itself is. But one of them, deserves a special mention. 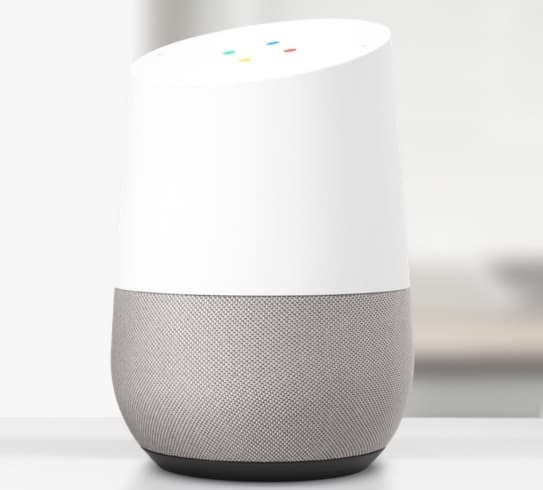 Google Home is a voice activated speaker powered by an AI (Artificial Intelligence) based technology, known as Google Assistant. It accepts your voice commands and carries out the instruction as interpreted by the Google Assistant. 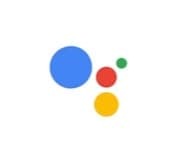 Google Assistant, itself, is an AI based learning platform that is especially built by Google to provide a personalized service. Let us first introduce ourselves with the all new ‘Google Assistant’ so that we can dig deeper into the functions offered by Google Home. It all started with the Google search engine. The search engine was created to bring an instant help about anything from around the world to the seeker. But, sometimes, we require help within our own world, with our own smart devices, reservations, bookings, etc. and we need a companion to sort these things out. Google has analysed the need and presented us with ‘Google Assistant’, a platform built to provide a personalized service. It responds to your need, learns your trait, connects with almost all of your smart devices and provides information or carries out instruction as per the user. It offers a personalized Google environment and is completely safe and secure. Whether you want to book a hotel or listen to music, it does it for you. Google made search engine for everyone but they made ‘Google Assistant’ especially for you. Already mesmerized with this AI platform, then think what happens when it is coupled with a voice activated speaker. Google Home is what we are now discussing about. It gets activated by a simple voice request ‘Ok Google’ and it becomes ready to follow your instruction. It can play your favorite music from services like – Google Music, YouTube Music, Spotify, Pandora and TuneIn. Further, you can ask anything and it tries its best to answer you back. It uses the Google’s rich history and information available from sites like Wikipedia, etc. to deliver what you need. Coupled with ‘Google Assistant’, it not only handles your schedule, reservations, etc. but also controls your other smart devices. Alarms, Smart home switch control, music, podcast, it offers infinite features customizing your home and your life style. It has a very simple design and is easy to get started with. It has a touch sensitive surface at the top provided with indicating LED’S that helps us to configure whether it is on or off. The touch sensor allows to control audio level and instantly turn off notification and services like alarms, etc. 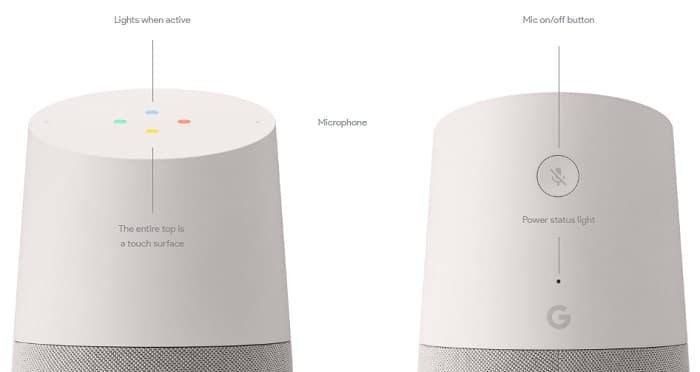 It comes with a button which turns the microphone on/off providing user to decide what the Google Home should hear. Not only that but, voice request commands can also turn it on/off providing both security and privacy to its user. It also fits well with your home environment. Provided with Hi-Fi speakers and features like far-field voice recognition, it is ideal for your home environment. Also available in multiple replaceable base, it easily finds a place and becomes a part of your home. Overall, whether you call it a home music system, a smart-voice controller, or anything else, Google Home is a revolutionizing product which is coupled with powerful ‘Google Assistant’ and comes with the trust of Google. Available now for pre-order, this device is a must for those who want to simplify their daily routine and improve their lifestyle with the help of Google. At a price of $129, Google Home is the device you shouldn’t miss out – after all it is your very own Google! 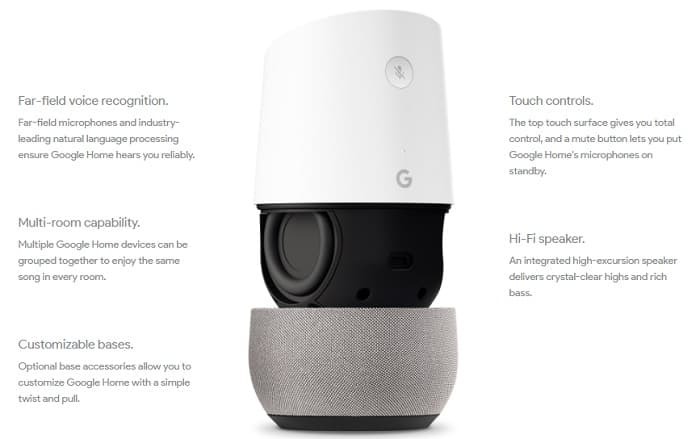 What are your views about this Google Home? Write your views in the comment below.